We have a skunk in the chicken coop. The boys saw the thing bouncing around inside the coop when they got home from baseball last night. I didn’t see it, but I smelt (is it “smelt”? or “smelled”?) it. This is not good news. 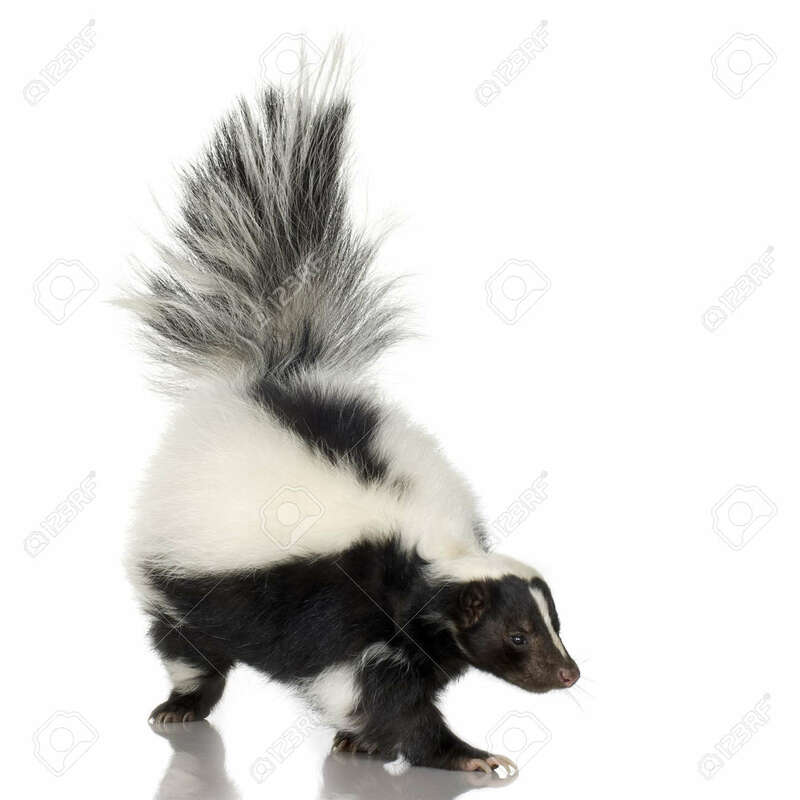 Skunks can eat lots of eggs and small teenaged chickens. Plus, they can set up housekeeping and raise their babies and their babies have babies and they all come to visit and the next thing you know, you have an entire community of skunks living in or under your chicken coop and no more chickens. This cannot happen! But I’m not sure what to do. I must investigate some smell- proof skunk eviction ideas. UPDATE: Early this morning, Daniel, the fearless, quietly tippy- toed out to the coop and opppenned the door. Quietly. Quietly. Then he peeeeeked into the coop. He looked up in the rafters and down on the floor of the coop. He found lots of broken and eaten eggs. He found no dead chickens. And no skunk. Not even a whiff. Thankfully, the very fat and satisfied skunk must have squeezed himself out the small crack between the door of the coop and the door jam sometime in the night. What a relief! Now we need to be diligent about closing the coop door at dusk after the hens have put themselves to bed instead of waiting until our bedtime. We’ve just gotten lazy. The skunk sighting was a wake-up call. Speaking of waking up~ Rhett has decided that, as the designated “cat”, it is morally good, justified and acceptable to sleep anywhere he would like. Weather: A 40 percent chance of snow showers. Cloudy, with a high near 39. South wind 5 to 13 mph. Total daytime snow accumulation of less than a half inch possible. Tonight snow showers likely, mainly after 11pm. Cloudy, with a low around 28. Southwest wind around 13 mph. Chance of precipitation is 60%. New snow accumulation of less than a half inch possible. This entry was posted in chickens, eggs, farm life. Bookmark the permalink. Yikes! I know! Hopefully we will just open the coop door and let the fat stinky find his way out. Here is a link to website of a couple with a skunk problem and how they handled it. Don’t shoot the cat! Thanks, John. I’ll take a look!